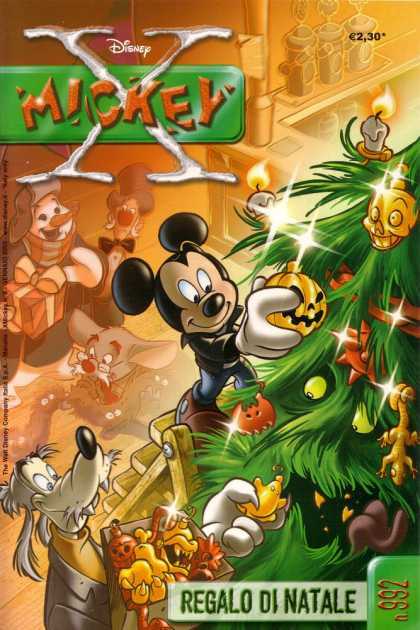 X-Mickey is a comic series that ran in Italy in 2002 for 30 issues. 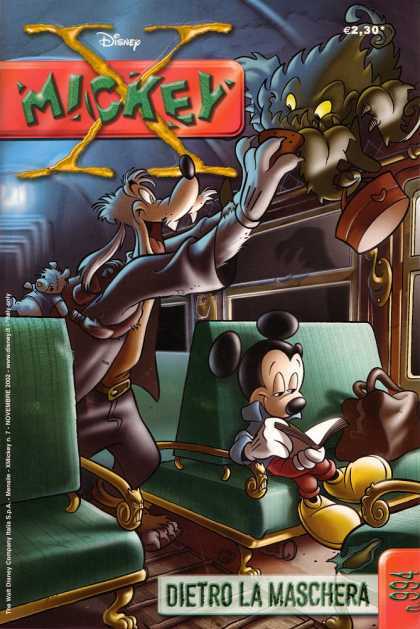 It focuses on the adventures of Mickey Mouse into an alternate world of the supernatural being assisted by a Goofy-like werewolf named Pipwolf and an albino mouse named Manny. The original magazine's format featured long 45 page stories accompanied by shorter 15 page stories and short strips starring Pipwolf. It is currently being translated and released in the United States on the Disney Comics app on iOS systems.